We have a target cut from the end of a log. The center of the target is 60 inches off the ground. 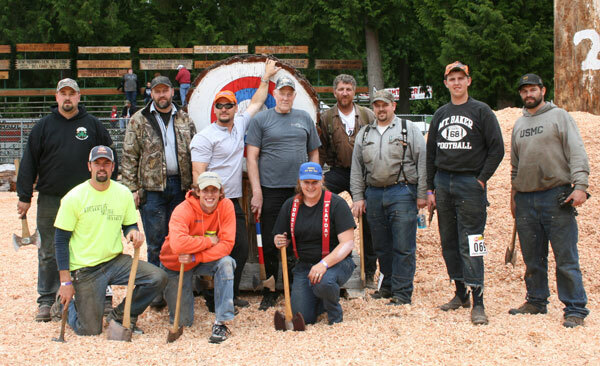 The contestant must be 20 feet or more from the target, and the axe head must weigh 2 ½ pounds or more and have at least a 24-inch handle. The axe is thrown at the target; the value of the bulls eye is 5 points. The second circle is 4 points and so on down the line. Contestants will get three throws for record. The highest possible score per day is 15.